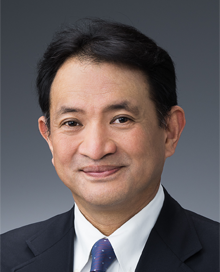 Masaaki Mochimaru studied Mechanical Engineering and Ergonomics at Keio University in Japan, where he received his Master in Mechanical Engineering and PhD in Engineering. In 1993, he joined AIST as a researcher. In 2001, he was assigned as the deputy director of Digital Human Laboratory of AIST. In 2010, he launched and directed Digital Human Research Center of AIST. Through 2015-2018, he directed Human Informatics Research Institute of AIST. After November 2018, he directs a new research center, Human Augmentation Research Center of AIST. His research interests are related to measurement and modeling of human functions and their applications. In recent years, his research interests are expanded to service engineering and servitization. His researches were published in over 60 journal articles (Ergonomics, KANSEI Engineering International, Journal of Biomechanics, Gait and Posture, SAE International Journal et, al.) and over 120 conference proceedings (ISB Footwear Biomechanics, World Congress of Ergonomics (IEA), International Symposium on Digital Human Modeling, ICServ, Spring Servitization Conference et, al.). He got Basic Research Award from ISB, 5th Footwear Biomechanics Symposium in 2001, The Most Outstanding Small Group Presentation from SAE Digital Human Modeling for Design and Engineering Conference in 2009, and The Most Impactful Poster Award from Footwear Biomechanics Symposium in 2011. Through 1997 to 2016, he was the chair of ISO TC159 (ergonomics)/SC3 (anthropometry and biomechanics). In 2017, he was assigned to the convener of ISO TC159/SC3/WG1. In 2019, he was assigned to the chair of ISO TC 324 (sharing economy). He also contributes international standardization as an expert of ISO TC 133 (apparel sizing), TC 312 (service excellence), Guide 50 (child safety) and IEEE-SA (3D body processing).